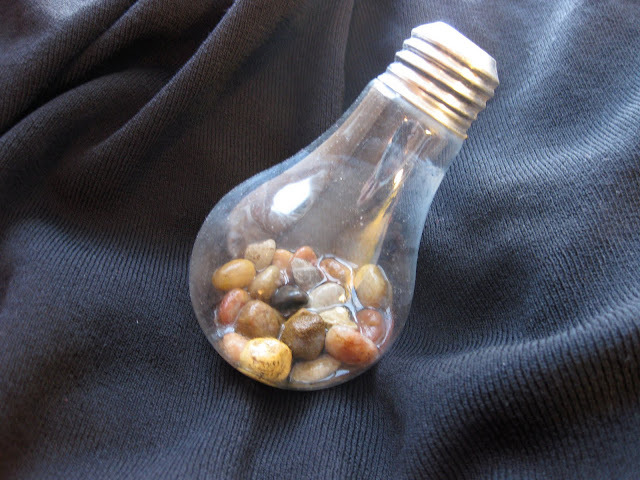 A light bulb terrarium is a great use for old bulbs. I found myself with a lot of spare light bulbs after helping with an incandescent to compact florescent lightbulb exchange in 2007. It seemed wrong to just toss all those bulbs. I wanted to try to give them a little more purpose and let them live to their full potential, so my friends and I made a few different light bulb crafts: light bulb vases, a creepy spider, and my latest light bulb project: a light bulb terrarium with moss. 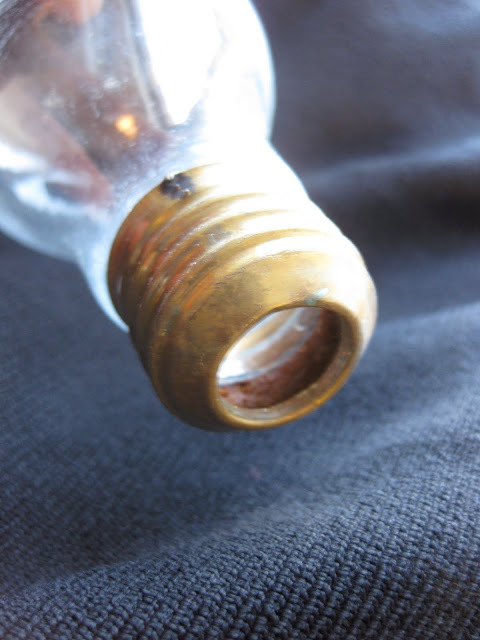 Hollowing out the light bulb isn't a big challenge; it takes some needle nose pliers, hand protection, and patience. Team Droid offers a great tutorial. Making sure you don't break the bulb later in the process is a bit tougher, though. It didn't happen to me, but the glass does feel fragile. After filling the light bulb with pebbles, I used a thin bamboo skewer to deposit and arrange bits of moss. It's important to note that moss does very poorly in a sealed environment. 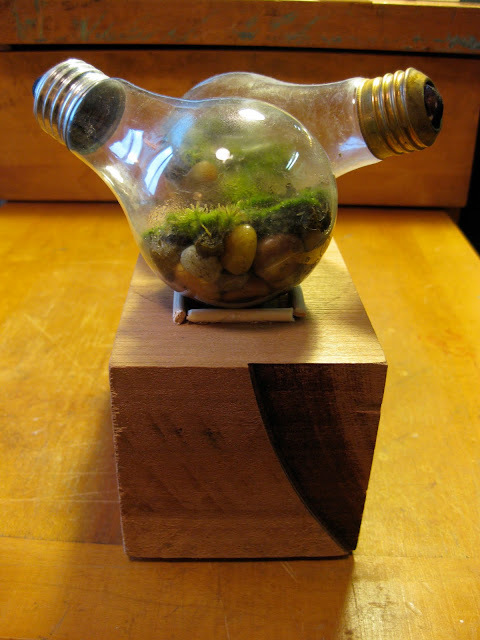 Many people will try to sell you a light bulb terrarium with moss or teach you how to make a moss terrarium without sharing this information. I sealed my terrariums with removable corks before learning this tidbit. Mosses do best in open air, and so will yours. Ideally, keep your moss open to the air to prevent the growth of mold and mildew. If growing a finicky moss in your light bulb terrarium is too daunting, consider growing epiphytes, also known as air plants. These plants are hardier, tolerate low-moisture environments, are easier to keep happy in an enclosed environment, and don't require soil. Simple gravel will do fine, along with an occasional misting of water. Light bulb terrarium in the making. 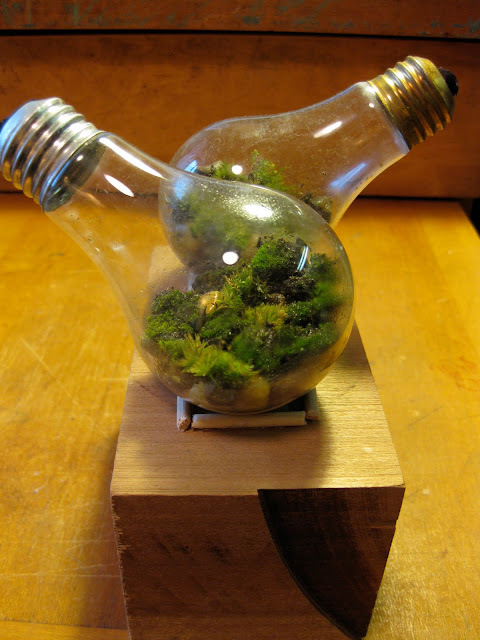 I hope you find this post helpful for your own moss terrarium or light bulb crafts!